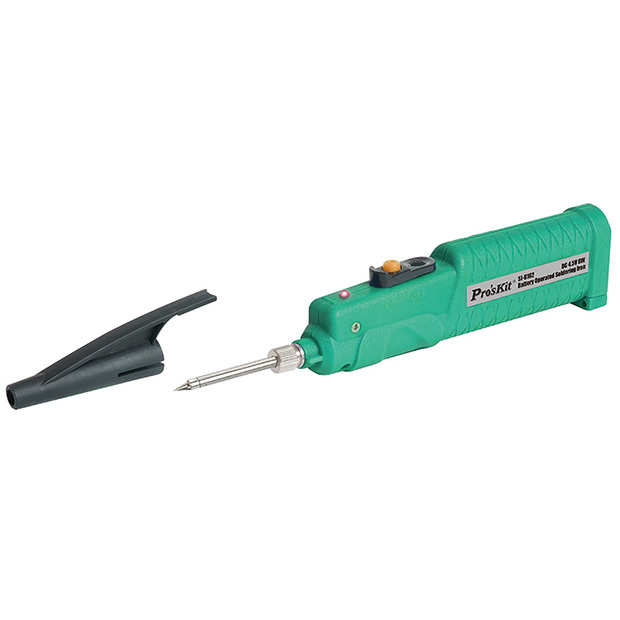 Small and compact battery powered soldering iron heats up in 15 to 20 seconds. Bring with you to any job. Requires 3 AA batteries(not included). 1mm diameter lead-free solder included. Auto power off feature when the cap is attached. Battery Operated Soldering Iron. requires 3 X AA batteries not included. 1mm diameter solder included.